Next week the Labour Campaign for Human Rights will be hosting a screening of CITIZENFOUR, a new documentary about the Snowden revelations. We’re encouraging all Labour supporters to attend and learn more about the data surveillance debate. When I talk about surveillance, I’m often asked why it’s important. Why does it matter for Labour? At a time when we’re struggling in the polls and we’re only a few months out from the general election, it’s fair to reason we should be spending all our time knocking on doors and not thinking about issues like the balance between privacy and security. But it’s a vital debate for our movement. 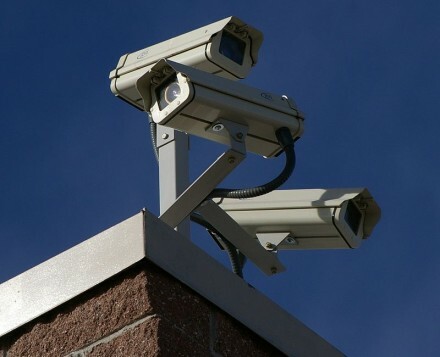 Surveillance is one of the tools operated by the state in defence of its interests. Most of the time, those interests are focused on the protection of British citizens. And there’s no doubt the security services do an extraordinary job keeping us safe. But sometimes they’re defined differently. Ask any trade unionist whose memory stretches back long enough and they’ll probably be able to tell you how the British security services attempted to monitor and disrupt the activities of the unions in the 1970s and 1980s. Back then, they were seen as part of a communist fifth column. Labour MPs and CND leaders were also subjected to surveillance, as was Labour prime minister Harold Wilson. These are not conspiracy theories; they have been confirmed in MI5’s official history by Christopher Andrew. Many prominent members of our party have been put under surveillance – Harriet Harman, Sadiq Khan, and Doreen Lawrence to name just three. Lawrence was spied on after her son’s murder, allegedly in order to smear her and her family, Harman when she was a civil liberties campaigner, and Khan while visiting one of his constituents in prison. So it would be wrong to assume the security services always have a benign interest. And when we think about what Snowden revealed a little over a year ago, that Britain’s spy agencies are indiscriminately collecting and storing all our personal communications data, it’s right that we have a proper debate and discuss what we can do to reduce the risk of abuse. As history has shown, the Labour movement has an interest in making sure those powers aren’t misused. Surveillance is also an electoral issue. While our attention is on UKIP at the moment, there are also many constituencies where Labour is losing votes to the Greens partly on the basis of our record on civil liberties. The Green Party is now polling at about six per cent nationally, and Labour has rightly setup a taskforce to investigate what we can do to claw back some of those votes. There are marginal constituencies where it could make the difference between winning and losing. We’re currently dealing with a major fragmentation of British politics. On the one hand, there are many disaffected people turning to UKIP who would previously have been traditional Labour supporters. But there are also people who form the liberal wing of Labour’s electoral coalition and who are being tempted away. Much like the voters going over to UKIP, we ignore them at our peril. Engaging with the data surveillance debate would be one way of demonstrating we’ve moved on from the days of ID Cards and 90-day detention. All Labour supporters are welcome to attend LCHR’s screening of CITIZENFOUR on Wednesday 26 November. For more details and to register, visit our website.